Wacken Open Air 2013 meant hot business: Excellent bands on 7 stages, 75.000 fans and sun, sun, sun. Metalheads from all over the world celebrated the most legendary metal party of the planet and saw to that the small village of Wacken in the north of Germany once again became the MECCA of the scene. 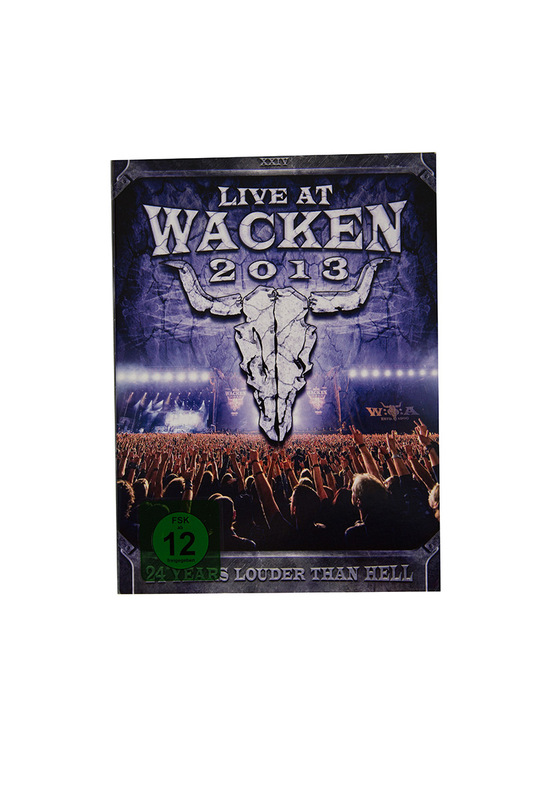 „Live at Wacken 2013“ offers footage on three DVDs from icon Alice Cooper, Nightwish play a jubilated set with new singer Floor Jansen, Doro celebrates her 30th stage anniversary with a fulminant stage show, Sabaton invite to a cheer along frenzy and all this under a blue sky. At 35 degrees celsius Motörhead play a shortened set including ‘Damage Case’, ‘Metropolis’ and ‘Over The Top’, like only they can. And also Deep Purple do not disappoint the metalheads - with hits like "Lazy" the prime fathers of hard rock elate each and every fan on the festival grounds.